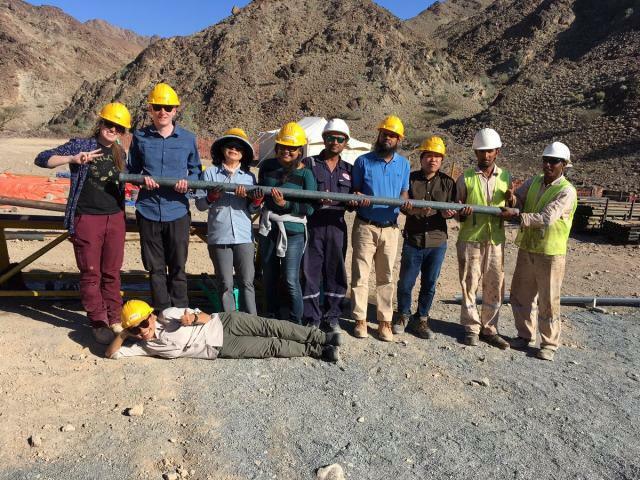 Phase two of the Oman Drilling Project began in November 2017, and the team is currently hard at work collecting cores and cuttings. Operations will continue until March 2018, completing the rock sampling part of the project. 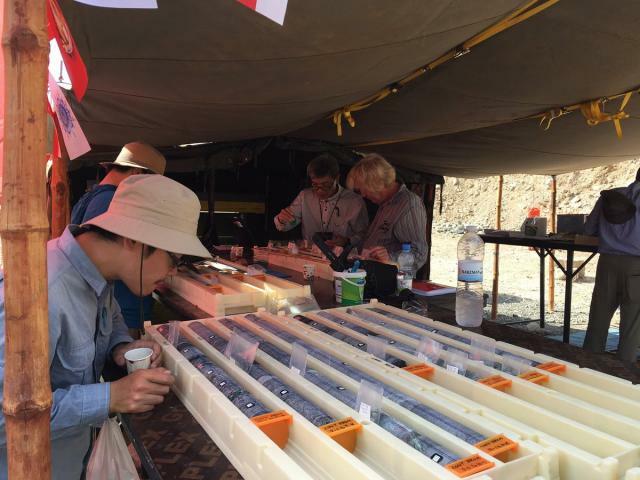 During phase two, the team are focusing on sites CM1 and CM2 (crust-mantle transition) and BA1, BA3, and BA4 (active serpentinization), collecting samples for geological, hydrological, and biological analyses. 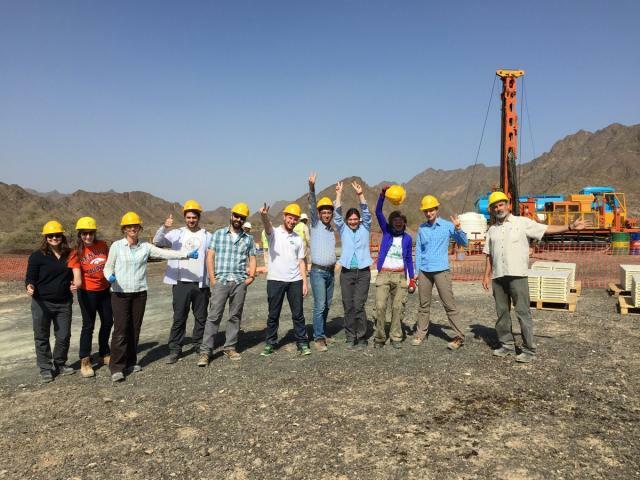 You can follow the Oman Drilling Project live on Twitter. Analyzing some of the first core samples from Phase 2, including ultramafic core from the crust-mantle transition. On 19 November 2017 the team passed the 100m mark at CM1A. 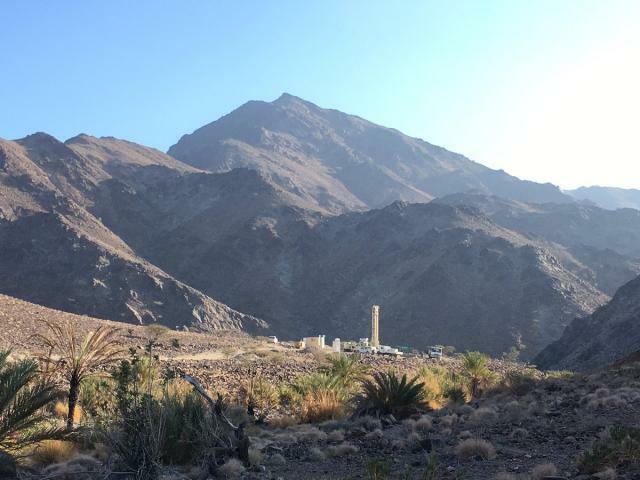 A view of the CM2 drilling site in Wadi Zeeb, Oman. 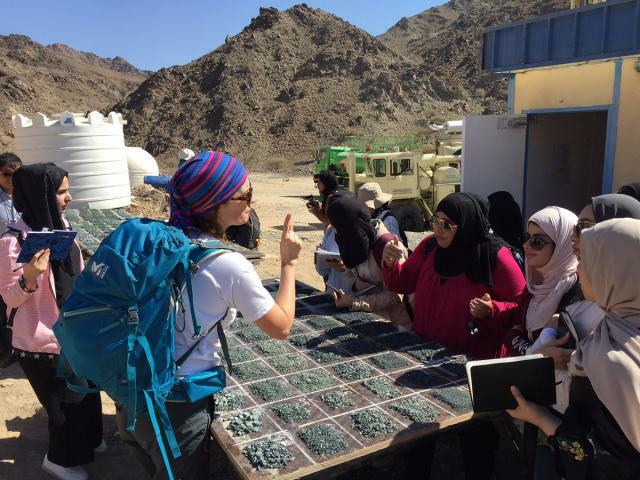 Approximately 40 students from the German University of Technology in Oman visited the site in early December 2017 as part of their geology classes. 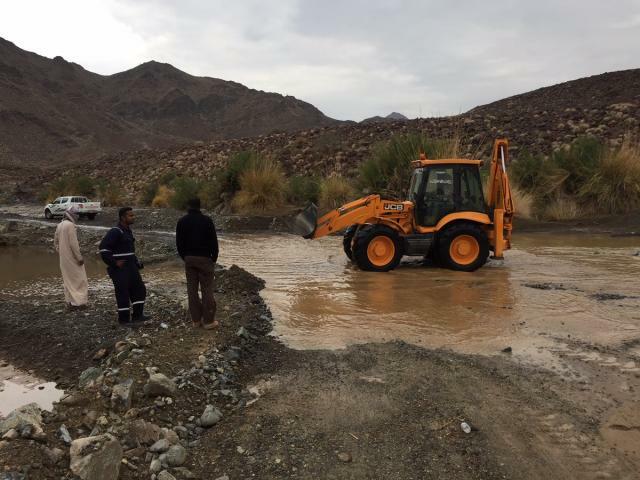 Sometimes it rains in the Omani mountains, causing disruption to drilling operations and damaging access roads. These harzburgite cores are samples of ancient mantle, thrust up onto the overlying tectonic plate during subduction. 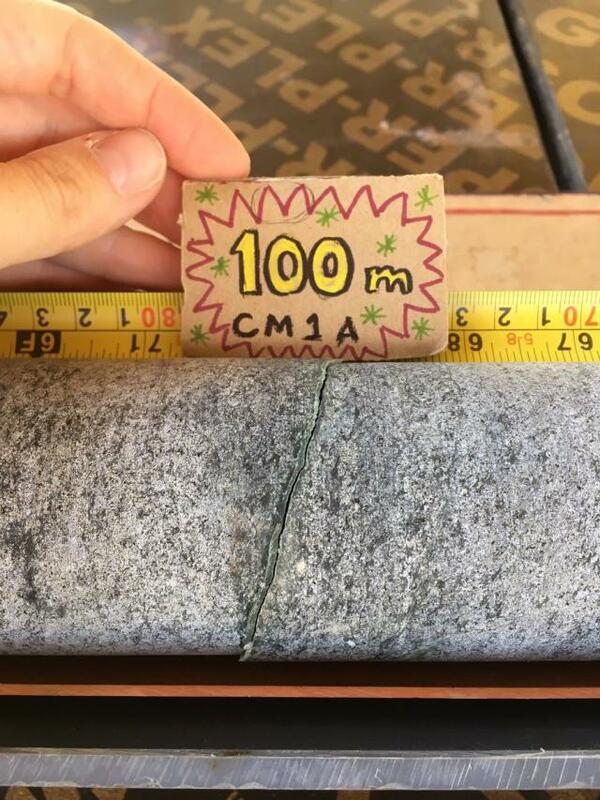 Starting off the New Year with a record 3m long piece of unbroken core! 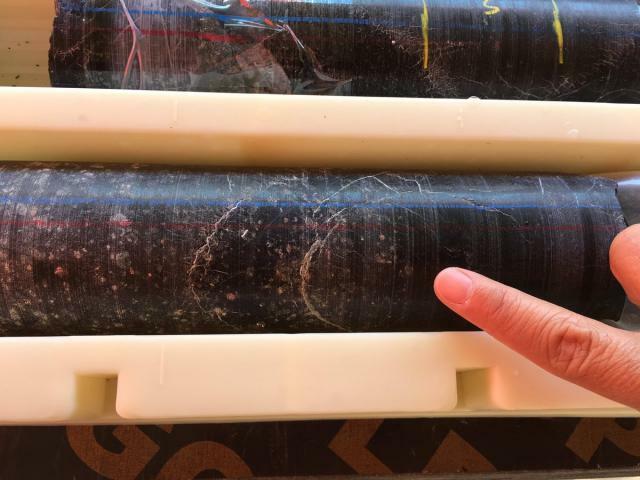 Drilling at site BA3A began on 8 January 2018, collecting samples of actively serpentinizing rock, which could host an extensive microbial ecosystem. 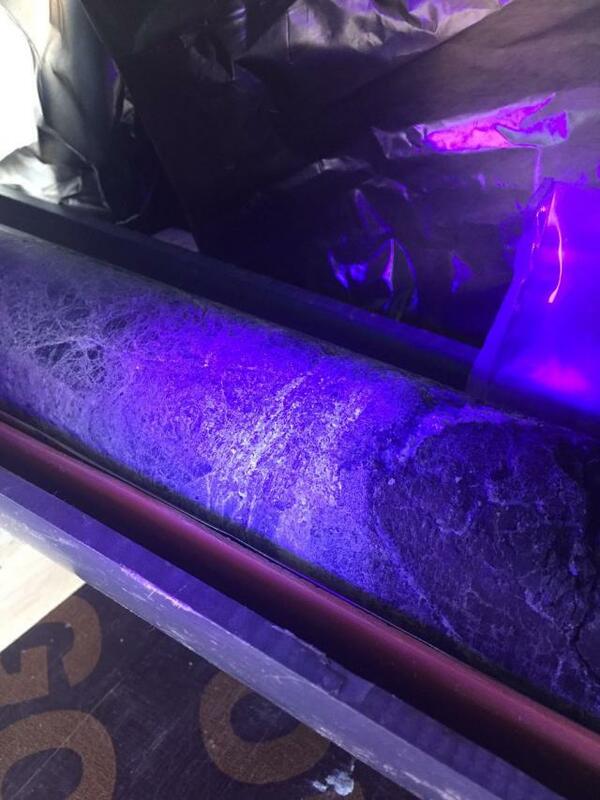 The microbiology team uses ultraviolet light to check for contamination from drilling mud, which could hinder their analyses. 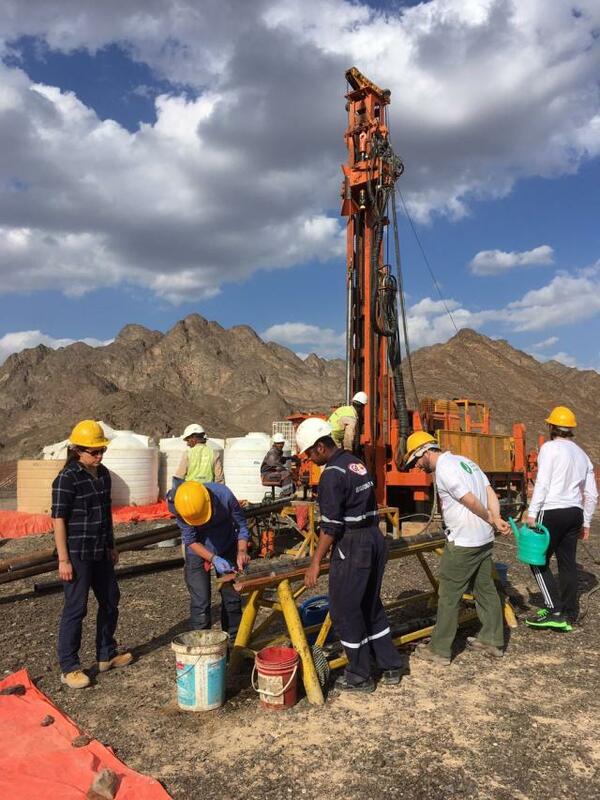 Drilling at site BA3A reached 302.70 m in depth. The team are now heading over to site BA1B to continue coring. All images courtesy of the Oman Drilling Project.